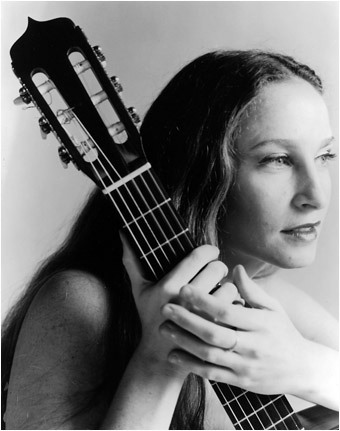 Tali Roth has been hailed by Classical Guitar magazine as “an extraordinary solo and chamber musician” by The NY Times as “a marvelous classical Guitarist”. 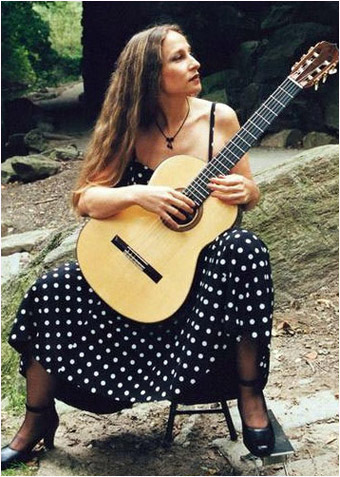 Her recent engagement includes recording all Classical Guitar tracks for the Woody Allen film “You Will Meet A Tall Dark Stranger” that has been released in 2010. Since her Carnegie Hall debut with the Juilliard Orchestra, she has performed as a soloist throughout the United States, Europe, Latin America, and her native Israel, appearing in such venues as Carnegie Hall, Lincoln Center’s Alice Tully Hall (with violinist Midori), the Caramoor Center, the Aspen Music Festival, the Tel Aviv Henry Crown Hall, Teatro Solis ,Uruguay with glamourtango, Hayuza teatre ,Tokyo with Kumatubara and Silvia Duran dance companies and Teatro Presidente in San Salvador with the El Salvador National Symphony Orchestra. Tali Roth is heading the guitar program on the faculty of the Juilliard School’s Pre College Division. She is also an adjunct professor at NYU. In addition, she has presented master classes throughout the United States Japan and Latin America and has taught at The Aspen Music Festival. Tali Roth’s repertoire ranges from Baroque composers, such as J.S. Bach, to the contemporary, such as Leo Brouwer. Her emotive style is particularly suited to the works of Granados, Albeniz, and other Spanish romantics and their Latin American counterparts, such as Villa-Lobos and Barrios. Ms. Roth often invites other artists to collaborate with her in chamber groups, premieres of new works, and in novel combinations, such as performances with dancers and singers. 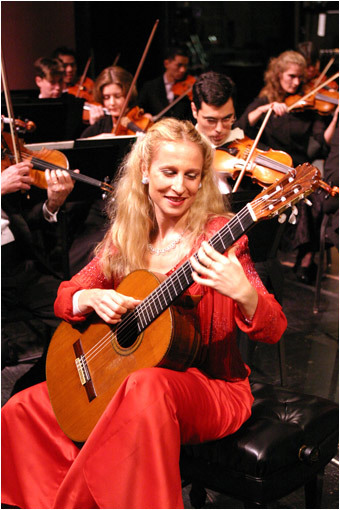 Her arrangements include adaptations to guitar of non-traditional styles, such as the tango nuevo of Astor Piazzolla.